I am strongly considering buying a 2002 z28 SS as a daily driver. No plans on modding it as I have a fully modded C5 vette. I live in Ct and my job allows me to control my schedule to a point. I work from home 3/4 days a week and if it snows I don't have to be on the road. With that said, honest feedback is welcome In general about daily driven camaros. I'd plan on getting steel wheels with snows too. Re: 2002 Z28 Daily driver? I have driven my 98 Trans Am daily since it was new, including commuting to work. The car itself had no issues. But you have to live with the fact that you probably can't take more than 1 other person out to lunch (or maybe 2 more if they are small ones), and your boss may not look upon it too favorably if it is a conservative organization. What you drive is a preference. My daily driver is currently a damn Prius, but it does have a nice kenwood head unit, upgraded speakers, and (2) 12 in subs in the back. The 50 mpg is something to be appreciated in the current economy. There is nothing wrong with a 4th gen as a daily driver. They are fun cars and I was getting 30mpg with the stroker in mine back when it was a daily driver. I daily-drive my '02 Z28 when the roads are clear of salt (about eight months of the year). I'm sure it would be manageable (and fun) in the winter with the right tire. I only put mine away because I don't want it to rust. I drive a beat-up Bonneville in the winter. I drive mine daily and have had no trouble last winter with blizzaks from tire rack. stock front and winter in back, I have sub-frame connectors do not jack like that if you don't. Hey guys! New here, from Central NC. Free 1994 Z28 OEM rims and tires. 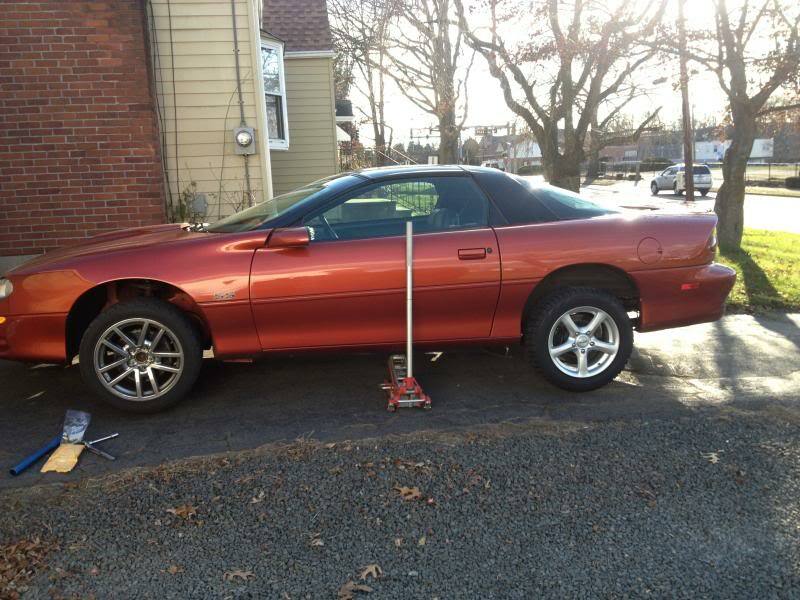 Quick Reply: 2002 Z28 Daily driver?